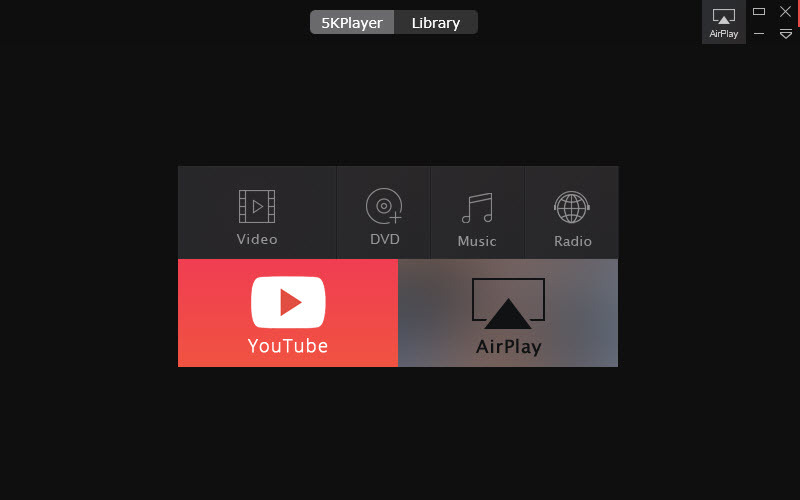 5KPlayer is a free video & music player, AirPlay media streamer and online video downloader software for windows and Mac. The maker of this software is DearMob, Inc. You can play 4,5K,1080p HD videos using this player. 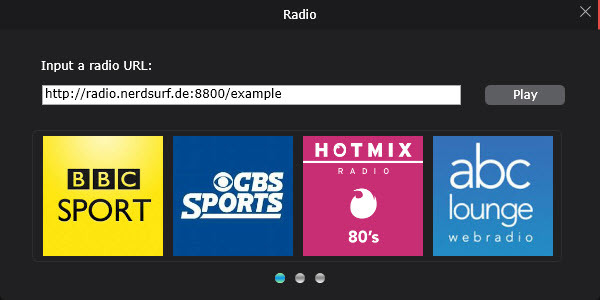 It also provides support for online radio playback. It play 4K,5K,1080p HD,DVD,Blu-ray, MKV, M2TS, MP4, AVI, WMV, FLV videos and supports MP3 AAC APE FLAC audios. Plays online satellite radio from BBC, Heart, Capital, Gold, LBC, XFM, Chill, Kiss, Kisstory, Magic, Kerrang, Planet Rock, Absolute Radio and Classic Roc. 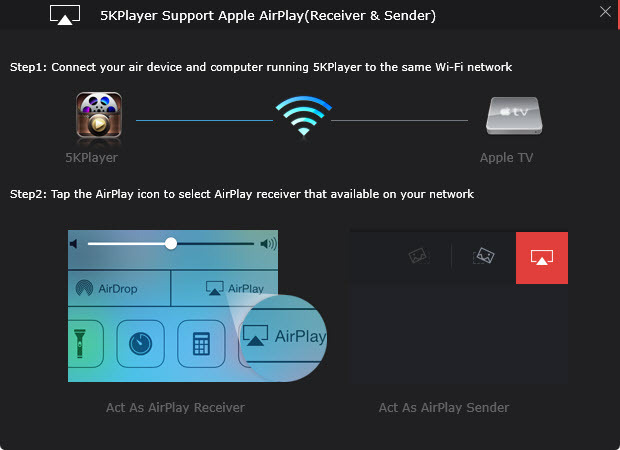 It has built-in AirPlay sender/receiver to stream audio video.It allows you to stream media from iPhone, iPad, iPod and Apple Watch to Mac OS X and Windows PC and streaming MP4, MOV, M4V, MP3 and AAC from iMac, MacBook and Windows to Apple TV, AirPlay speakers. It allows you to download online videos from more than 300 online video audio sites. like YouTube, but also Facebook, Yahoo, DailyMotion, Vimeo, Vevo, Metacafe, Myspace, Vine, UStream, MTV, Instagram, Bliptv, LiveLeak, CBS slideshare, Soundcloud. The downloaded windows installer file size is just under 40MB. And the installation is straight forward. The userinterface is clean and simple. The home screen of software shows 6 options. Video, DVD, Music, Radio, Youtube and Airplay. Click the each option to play with them.